Q: My husband and I recently divorced. I’m having a hard time adjusting to the single life. When we were together, we had more money coming in, but now I’m renting a one-bedroom apartment, which costs me $1600, not including my hydro and internet. I’ve also got car expenses and my cellphone bill. I only make $45,000 a year. Needless to say, it’s been hard to adjust to all these expenses and I’ve racked up about $4,000 in credit card debt. I make the minimum payments to keep a decent credit score, but I don’t think I’ll ever be debt free at this rate. What do I do? A: It can be a challenge adjusting to a single income, post-divorce because suddenly you become responsible for the entirety of your living expenses. You’re not alone, however. You are correct in saying that making the minimum payment on your credit card debt is not going to allow you to achieve debt relief. In order to make a meaningful impact towards lowering your credit card debt, I would recommend organizing your finances and looking for opportunities to save. It’s possible your debt accumulation is the result of the shock of having to be financially independent. As this is a new experience, I’d suggest starting with taking a hard look at your spending and learning more about your cash flow. Based on the annual salary you’ve provided, I’ll estimate that your monthly net pay is $2,973 in Ontario. Just taking $1,600 off the top for rent leaves you with $1,373 towards your other expenses. While I don’t know how much you pay for your car or insurance, I do know that your minimum credit card payment should be at least $120 (3% of your balance owing). After making this payment, you are left with just $1,253 a month to pay for your car, insurance, gas (which has also been very high), hydro, internet, and groceries. It’s not a whole lot of money to allow you to contribute more than the minimum towards your debt. 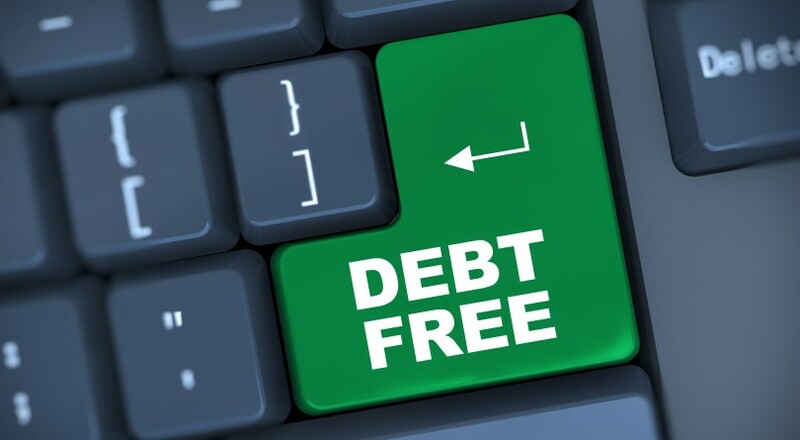 You do have some options for repaying this debt on your own that go beyond just making the minimum payment. Consider finding part-time work. While this may not be easy, it would only be for a short amount of time, until your debt is paid off. On a credit card balance of $4,000 at 18% interest, if you made fixed monthly payments of $380, it would only take you one year to achieve debt relief. If you can handle a second job for one year to make more than the monthly minimum payment, this would be a great way to avoid extending your debt repayment period and saving on interest charges. You might also consider asking your family for assistance, if this is possible. Create a solid plan for how you will repay them the money and how long you expect it to take. This would also help you save on interest. Your final option could be to get a debt management plan with an accredited, non-profit credit counsellor. It seems that you have the cash flow to repay your debt, but what’s really holding you back is the high interest charge (this is often what keeps people trapped in debt). A credit counsellor will prepare a multi-year debt repayment plan on your behalf to help you get relief from interest charges. Make sure that before you sign any paperwork with your credit counsellor, that he or she is accredited and that you fully understand all your obligations.